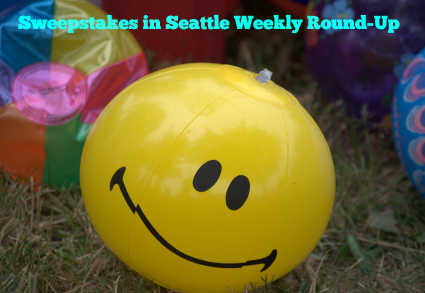 Sweepstakes in Seattle Weekly Round-Up 7/27 – Win $100,000, a trip to Hawaii, Amazon gift cards & more! Looks like summer is waking back up this week – I heard we’re supposed to have temps in the 80’s this week. Remember last week, I told you that the sweepstakes were turning to the “back-to-school” season? I must confess, I bought quite a bit of back to school supplies yesterday. I just can’t wait when all the sales start up! If you haven’t entered my latest giveaway – what are you waiting for?! The giveaway ends tomorrow and so far, only one person has entered – you could win a 15-piece stamp set from Spellbinders! Keep entering sweepstakes and let me know if you win. Remember, Sundays I will only post the weekly round-up so you can get caught up and see if you missed any of the sweepstakes posted during the past week. Have a great Sunday and check back tomorrow for new sweepstakes! I’ll also share winner’s stories here, so if you win a prize, let me know and you can be a part of the weekly round up! DeAnn won a coupon for a FREE box of Ritz Crackers from the QFC IWG (expired)! 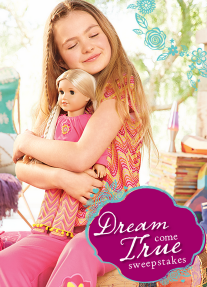 American Girl Fetch a Friend Sweepstakes – Win a My American Girl doll & more! 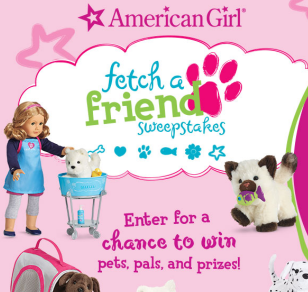 Win a My American Girl doll, an American Girl® Pet; a Pet Collar; a Grooming Set; and a Kennel (10 winners)! ELIGIBILITY – Fetch A Friend Sweepstakes is open only to legal residents of the fifty (50) United States (and the District of Columbia) and Canada (excluding Quebec), who are at least eighteen (18) years old at the time of entry. SWEEPSTAKES PERIOD – The Sweepstakes begins on July 21, 2014 at 12:00 a.m. Eastern Time (“ET”) and ends on October 31, 2014 at 11:59 p.m. ET. PRIZES – TEN (10) GRAND PRIZES: Winner’s choice of a My American Girl® Doll; winner’s choice of an American Girl® Pet; a Pet Collar; a Grooming Set; and a Kennel; Approximate Retail Value (“ARV”): $221 USD.